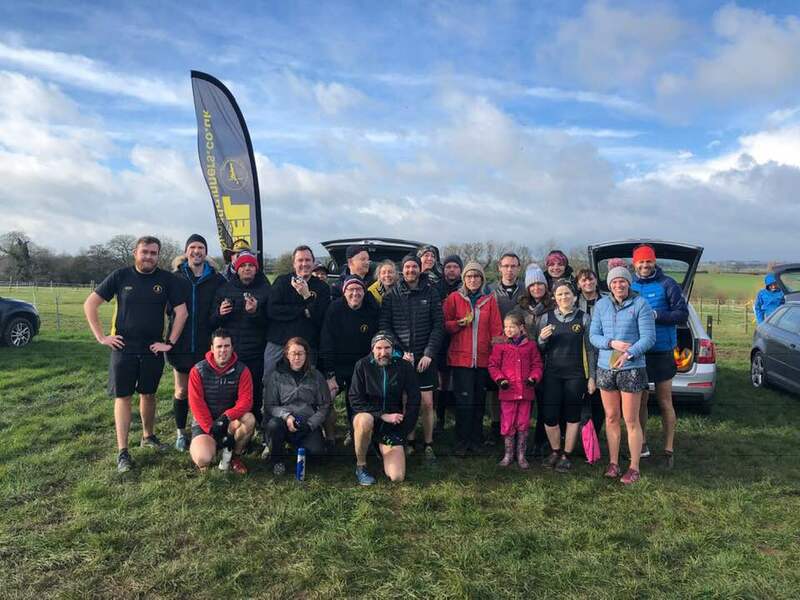 The main event of the weekend was the Stafford Half Marathon on Sunday, featuring a strong club turnout despite the cold and blustery conditions. Following on from her Fradley 10k success last week, Emma Pick was the first Peeler home in a new half-marathon personal best time of 1:31.38 hours, picking up the prize for the sixth placed lady in the process. Malcolm Bembridge was the first male Peeler home in a time of 1:35.19 hours, again a new personal best. Lee Rickards was next home in 1:37.47 hours, edging ahead of wife Rachael who finished in 1:43.46 hrs. Simon Gordon completed the event in a fast 1.41.13 hrs, followed by Joanne Harvey (1:48.19), Dave Fern (1:52.41) and Helen Chyla who achieved a new personal best of 1:54.03 hrs. Garth Cox completed his first half marathon in a respectable 1:54.45 hrs followed by Natalie Walker (1:58.07) and finally Sophie Galloway who recorded a new personal best of 2:03.54 hrs,14 minutes quicker than her previous half marathon best. There was had a good club turnout for the Kingsbury water park run on Saturday, despite many Peelers resting ahead of the Stafford Half. First home for the club was Mark Webster in 14th place overall in a very quick 20.17 mins. He was followed by Ashley Goodman in 23.12 mins, Simon Gordon (24.18) and Mark Boffey in 24.37 mins. First Peel lady home was Sandra Ingram in 26.06 mins followed by Sophie Galloway (26.22), Vickie Bowyer (35.41), Sarah French (36.58), Nicola Bannister (37.04), Christine Norris (37.26) and Alison Dolphin (38.03). Further afield Mike Shelton completed the Bournemouth parkrun in 21.04 mins, Andrew Pickard the Sheffield Concord event in 22.36 mins, Marcus Fairburn clocked 26.32 in Solihull and Jackie Tierney completed the Daventry event in 29.07 mins. The club is pleased to announce that it is running a further couch to 5k course, starting on Tuesday the 16th April at 6.30pm at the Snowdome. The course is aimed at beginners and will last for 9 weeks and you will need to commit to running 3 times a week; one coached session and twice by yourself to perform set exercises. Each session will be led by our qualified coaches and last around 30 minutes including a warm up and warm down. During our first session we will provide an introduction to the course and provide an opportunity to ask questions. The course will finish with a 5k run, either at a Kingsbury Water parkrun or the fun run at the Tamworth Gate Gallop on the 30th June. The course is open to all abilities and ages from 12+, although anyone under the age of 16 will need to be accompanied by a parent or guardian. It is also open to runners who may have attended a couch to 5k course previously. We are able to offer the course free of charge, with the support of Tamworth council. Please see the club’s website or Facebook page for more details and to register your interest. Peel Road Runners meet every Tuesday and Thursday at 7pm at the Snowdome, new members are always welcome. For further details or to get in touch please see the club’s website or Facebook page.